The happy snowman in this holiday scene will witness a Miracle (or three). 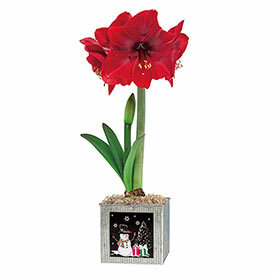 Square and oblong galvanized metal containers hold single- and triple-bulb plantings of Miracle Amaryllis respectively. In just a few weeks, up to five big, red flowers per stem will be in bloom, dressing up a small side table or wide kitchen window. 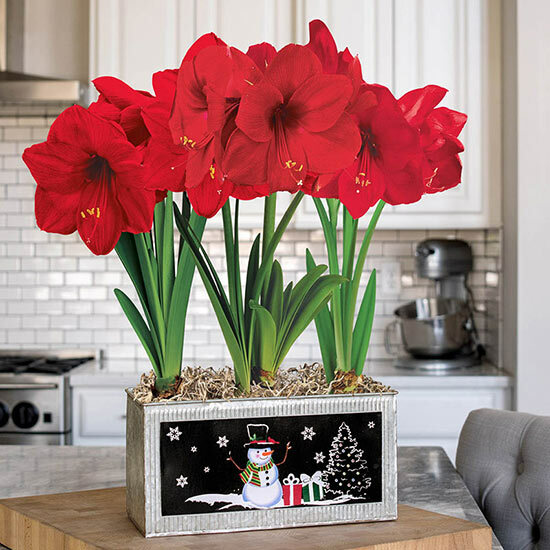 Both planters are plain on three sides, so you can face the wintery picture against a wall when it's out of season. EXCLUSIVE.